Formerly classified as Castle and entered at cited location NS 3917 5986. Elliston Castle is described in the New Statistical Account NSA as measuring 42ft by 33ft overall, the end walls are 8ft to 9ft thick, while the side walls are about 6 1/2ft thick. In the E and W walls there is an opening opposite each other, and arched over the top, which may have been doors, but which from their elevation in the walls, appear like large windows (? a reference to entrances in the first floor). It was the residence of the Sempill family before 1500, and though it must have been built before the use of gunpowder, when repairs were made in later time, gun-ports were found in the walls (NSA 1845). In 1836, the walls were 20ft to 30ft high, but in 1856, only the N and S walls stood to that height, and were in a very ruinous condition. Other walls, including those which local informants state formed a courtyard, were scarcely any height above the ground. 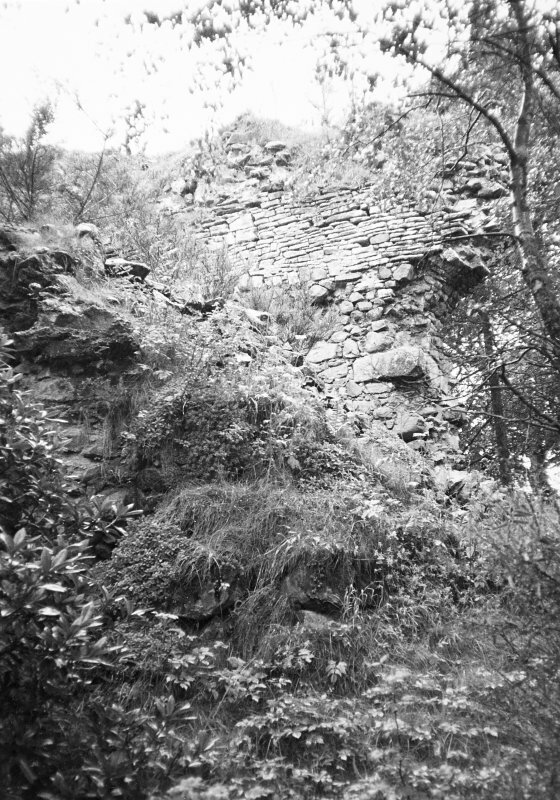 The ruins are now in a private garden; there are substantial remains of a rectangular tower of roughly coursed masonry with traces of internal vaulting, and of the dimensions given in the NSA. The curtain wall has been built up as part of the ornamental garden. 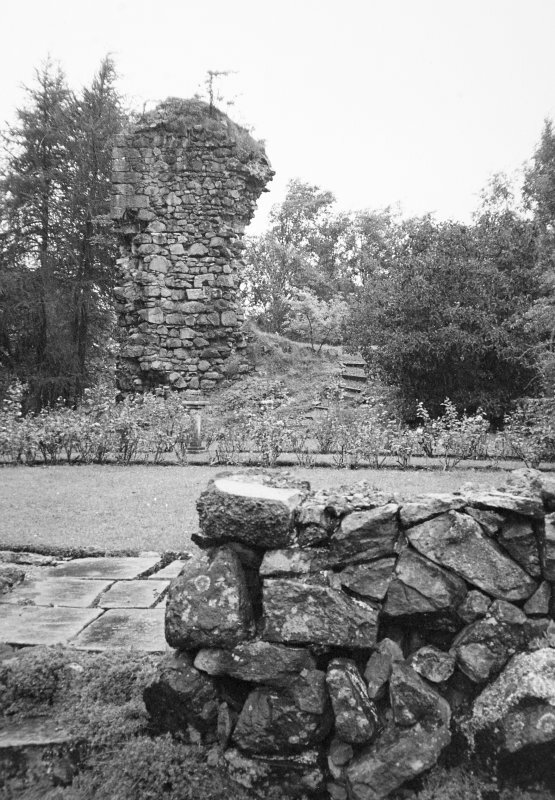 The castle appears to have followed a typical Renfrewshire form of a rectangular walled courtyard or 'bailey' with a 15th century type of tower.